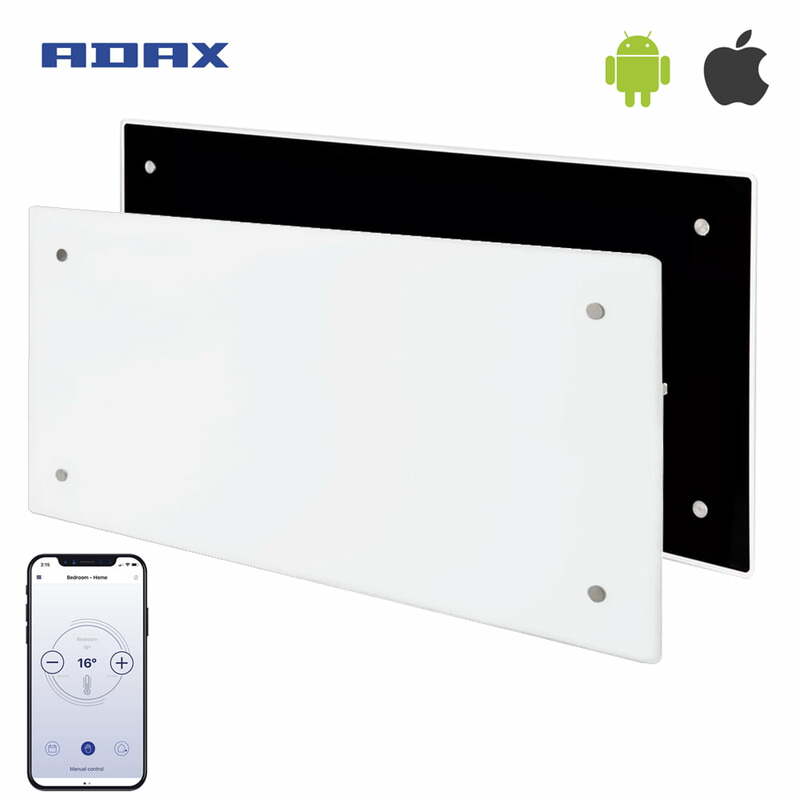 Adax Clea Glass WIFI Home Automation Electric Panel Heater / Convector Radiator, Wall Mounted. Adax Clea Glass WIFI Electric Panel Heater / Convector Radiator, Wall Mounted. Modern / Home Automation / Timer / Low Surface Temperature (Max 55C). Colour: White, Black. Portable Option (Leg Brackets Sold Seperately). Power, Watts: 600W, 800W, 1000W (1kW). Height: 340 mm. Width: 676, 790, 850 mm. Size: Small / Narrow / Compact, Medium.